Cybershield offers its customers full turnkey services to streamline their supply chain, improve product quality, and reduce costs. 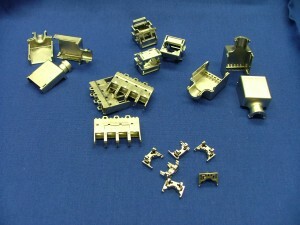 Our ability to mold as well as plate plastics are unique in the industry. Cybershield custom injection molding capabilities offers manufacturing process that is efficient, scalable, and leverages leading-edge technologies. 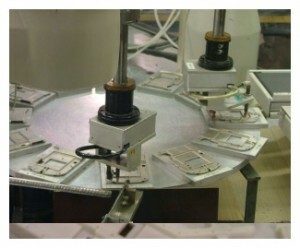 We leverage our custom molding capabilities with industry leading plating plastic and conductive paint application on plastic components for EMI shielding, ESD dissipation as well as decorative plating & painting. Cybershield also offers our customers a variety of secondary operations that, when combined with custom injection molding and plastic plating and conductive painting capabilities, deliver even greater value. By providing services such as decorative painting, ultrasonic welding, insert installation, conductive gasket dispensing, heat staking, tapping, part marking, and mechanical assembly to name a few, we can shorten our customers supply chain and reduce total cost of ownership. As an ISO 9001:2008 certified manufacturer, Cybershield facility houses computer controlled molding machines ranging up to 225 tons of clamping pressure, capable of injecting as much as 13 oz. of material per cycle. We have a working expertise in a wide range of resins and materials. But perhaps even more importantly, we have experts who can assist you in evaluating your design and selecting the material which will work best in your application. Strength, hardness, appearance, rigidity/flexural properties and perhaps the most important factor– cost…we’ll assist you every step of the way. Below is a list of some of the plastics we routinely process. To name a few... This includes glass & mineral filled materials. Cybershield has knowledgeable and experienced team of engineers to help you with the design and commercialization side of your project. With decades of experience in plastics engineering, design, development, the manufacture of custom injection molds and, we can assist with material selection, part design and make tooling recommendations. We take a global view of the project, not just looking at molding but the entire finished part or assembly, including plating plastic, conductive paint application, decorative paint application, hardware assembly, etc. to ensure that the delivered product meets our customer’s requirements at the lowest cost. We offer unique solutions to your product problems. Cybershield is able to quickly respond to your tooling needs and produce precision custom injection molds to meet you project schedules. We work with you to analyze your projects to identify cost-savings opportunities as we integrate quality and confirm manufacturability. 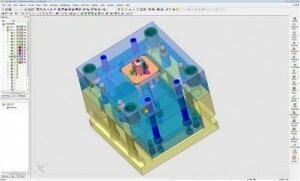 Cybershield can work with a variety of CAD formats, including SolidWorks, ProE and AutoCAD. assembly, etc. to ensure that the delivered product meets our customer’s requirements at the lowest cost. Cybershield has teamed with several of the best rapid prototype manufacturers to produce 3D printed, SLA, SLS, cast urethane and/or CNC machined prototypes for testing & evaluation and design confirmation. 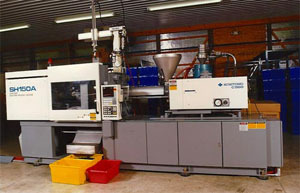 Plastic prototypes can be produced in as short as 2-3 days. Cybershield can then finish to your requirements, note that materials selected for the rapid prototypes may limit finishing options due to temperature limits and chemical resistance. Our experts can guide you to a rapid prototype that can allow our customers to test the design before committing to production tooling. 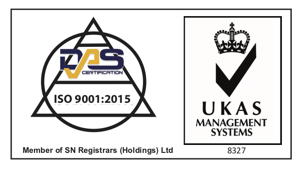 Contact Cybershield to review your requirements or to discuss your molding & plating requirements and design options. We will promptly respond to your phone or email inquiry and provide technical assistance to help you design a cost effective product design. Download our brochure to obtain more information about injection molding, plating plastics, conductive paint application and other manufacturing services offered by Cybershield.